Based in Okinawa, Japan, Adrienne Michalek began her health and fitness career in 1996 at Appalachian State University where she received an award for “Fitness Instructor of the Year." She holds an undergraduate degree in health promotion and a Master’s degree in public health. Ovulation can be a tense time for women who are trying to conceive. It is normal to wonder what precautions you should take in order to make the most out of your fertile period. The welcome news is that there is no evidence that suggests you should avoid swimming when you are ovulating. Conversely, swimming is a gentle, safe form of cardiovascular exercise that can prepare you for a healthy conception and pregnancy. Ovulation occurs when your body releases a mature egg from your ovary that is ready to be fertilized. It is estimated that this takes place anywhere from Day 11 to Day 21 during your menstrual cycle. According to Americanpregnancy.org, ovulation may in some cases "be affected by stress, illness or disruption of normal routines," but there is no indication that any form of physical activity should be avoided. In order to ensure your best chances of conception, stick to your normal, daily routines. 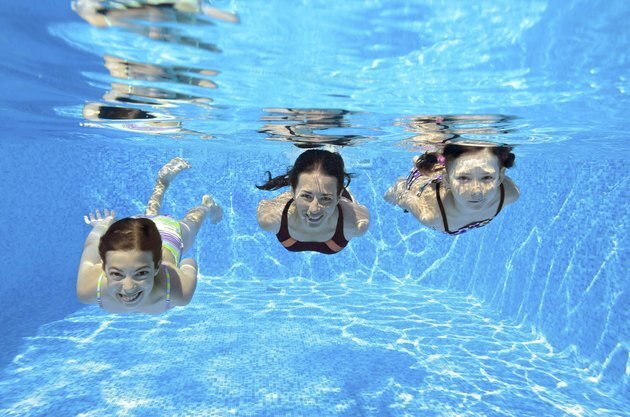 Swimming is actually an excellent stress-relieving form of preconception exercise. Are Period-Like Symptoms Common When Pregnant?